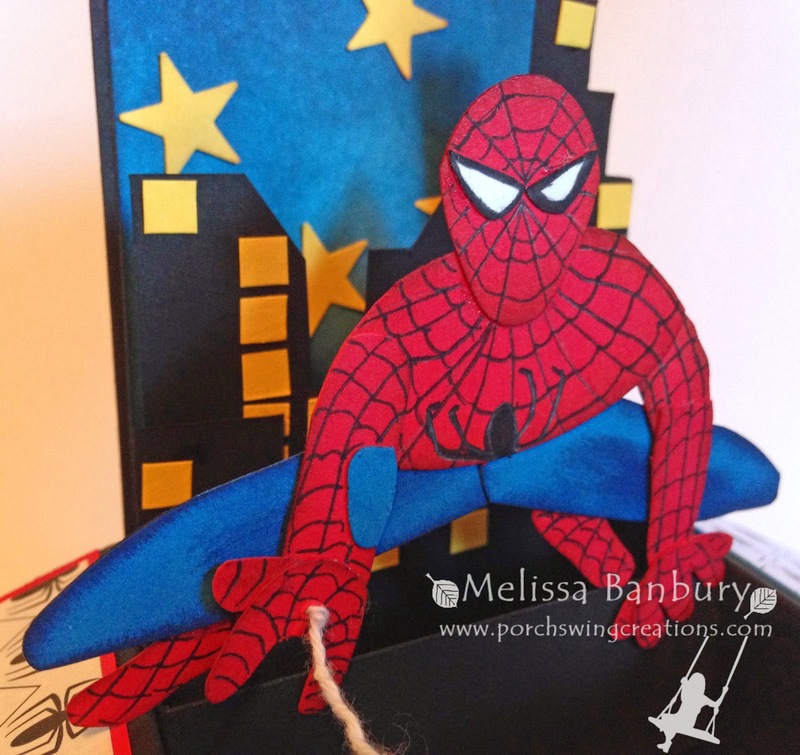 I have a fun Card in a Box to share with you today that features an all time favorite superhero - SPIDERMAN!! 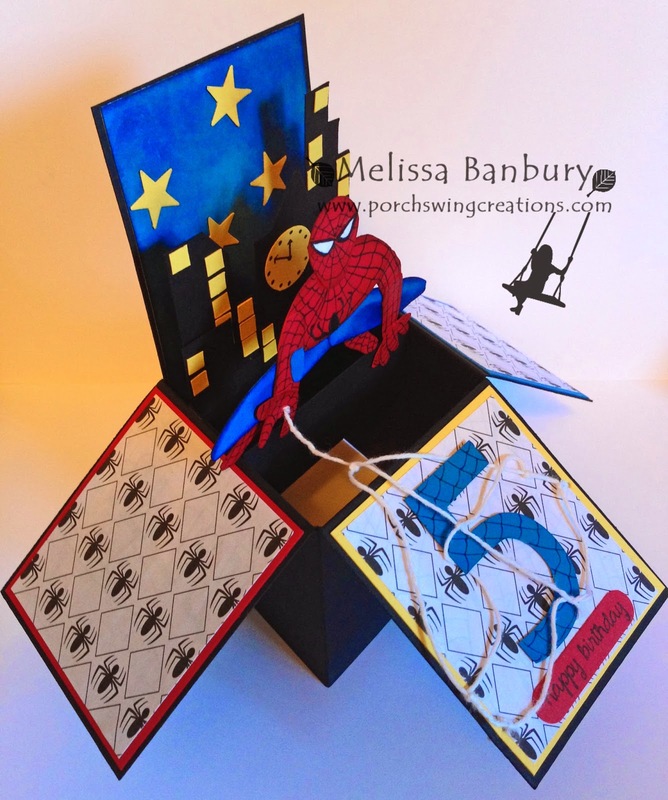 I've made a few Spiderman cards in the past but I think this one is my favorite! As with many of my designs the idea for this one came when I should have been sleeping. I knew I wanted to do punch art but I wanted to step it up a notch and make it appear as though Spiderman was shooting a web from his hand. 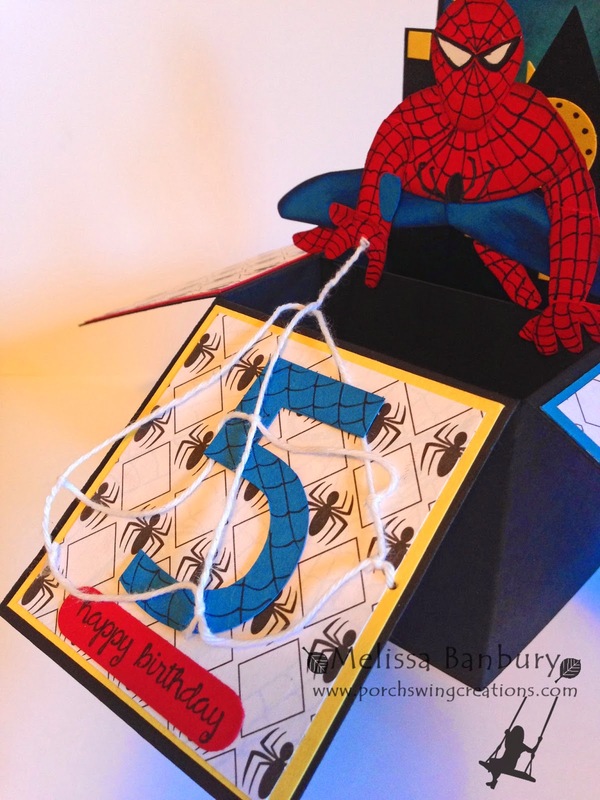 Do to the nature of how this card folds together when closed I knew a paper "web" wouldn't be a great option because the paper might not flex and would rip. After a little extra thought (and a little less sleep) the Baker's Twine "web" was formed! The night skyline was created by first sponging a piece of Whisper White cardstock using a combination of Marina Mist, Pacific Point, and Night of Navy ink. A few stars from the Itty Bitty Accents punch pack were added in Daffodil Delight. 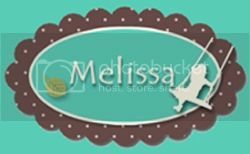 The buildings were freehand cut from Basic Black cardstock and window/clock details were added in Daffodil Delight cardstock. For each flip down panel of the box a mat of Real Red, Daffodil Delight, or Pacific Point cardstock was added. For additional interest I "borrowed" a coloring page from my son's Spiderman coloring book and layered this on top of each base mat. 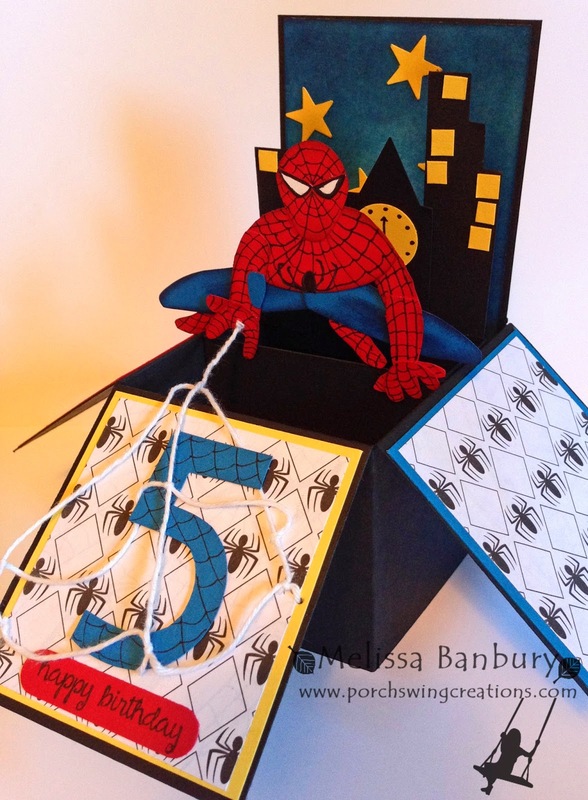 The number 5 was freehand cut before adding a web pattern with a Basic Black marker. As mentioned earlier the web was created out of Whisper White Baker's Twine. I began with 3 main vertical pieces than tied 2 horizontal pieces across, knotting as I went and trimming off any excess. It was adhered to the front panel by first piercing small holes then threading each end through and knotting on the backside of the panel. Be sure to leave enough slack so the card can open and close freely. 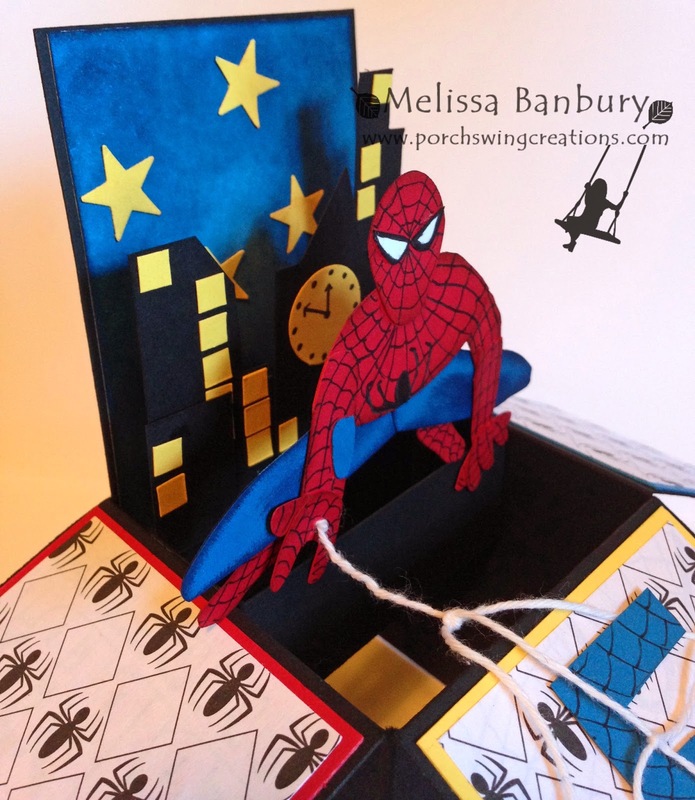 Spiderman himself is a little more tricky to create. While I did use punches to create him, many were trimmed to the desired shape I required to make him look just right. If anyone is interested in a detailed post on his "recipe" please comment below and I'll try to do a step by step tutorial on it. Hope you've enjoyed this one as much as I did making it! It was one of the one's that is hard to part with at the time of giving (what can I say, I'm a bit of a card hoarder! Hence, the ridiculous amount of photo's I took of the card! LOL). Before I sign off I wanted to give everyone a heads up on my upcoming giveaway! I'm in the process of creating a set of 4 cards using the images from the Traveler's set and would like to send them off to one of my fabulous readers!! I hope to include them in my next post along with the giveaway details, so stay tuned and check back often. Or, even simpler, subscribe to my blog my entering your email address and be kept up to date with all new posts directly delivered to your Inbox! WAUW...just amazing...Melissa, you did it again!!!! Yes, I would love to see a tutorial on how you mad the punch art Spidey! Melissa this is awesome, what a gift and a keeper!!!! 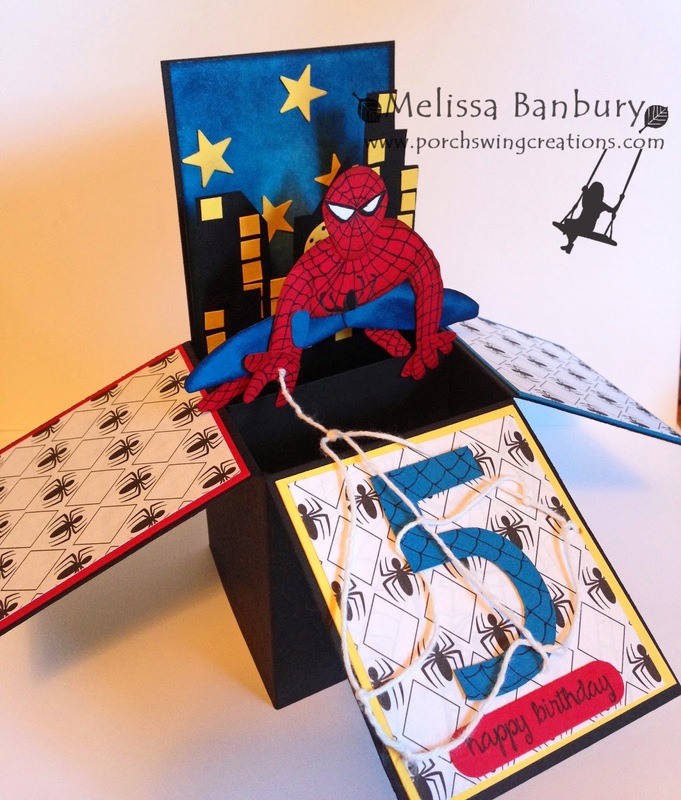 You are so creative....how about a tutorial on your darling "card in a box" series...spider-man and the lego man.